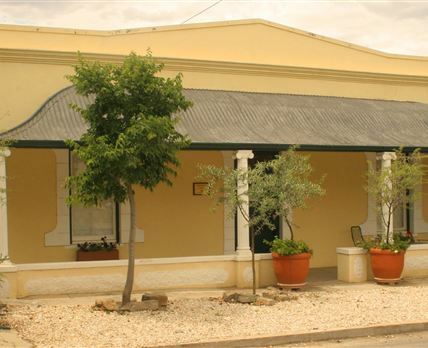 Kleine Heimat: Comfortably furnished with an elegant simplicity, Kleine Heimat is a welcoming, small Victorian cottage located in the centre of Graaff-Reinet. Abie and Marichen have taken every consideration in providing for your comfort and privacy. This one-bedroom cottage offers a fully equipped kitchenette for those who enjoy self-catering, while fluffy towels, toiletries, and quality linens add to the sense of being in a home away from home. Many of the restaurants and places of interest are within comfortable walking distance of the cottage, and having the use of a lock-up garage makes it so much easier to leave your car and wander through our historical town. Click here to enquire at Kleine Heimat.